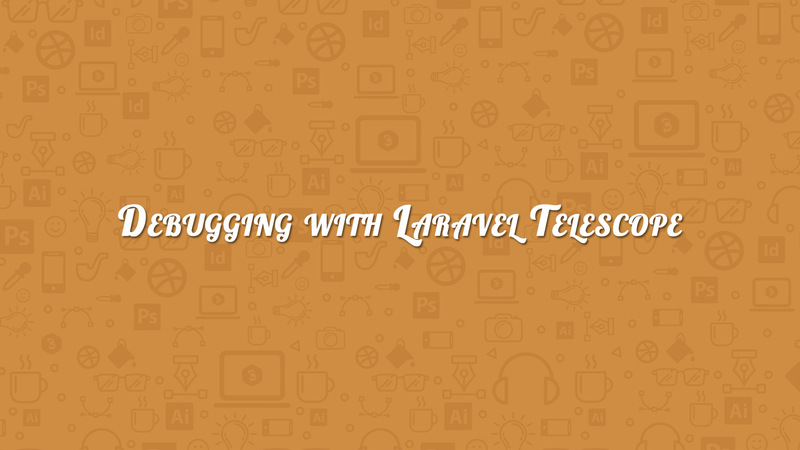 In the article, we will discuss “Debugging with Laravel Telescope”. Laravel provides a wonderful debugging assistance Laravel Telescope. As you know, when we developing an application then it is impossible to avoid bugs. Laravel Telescope empower us to manage to debug an application. Telescope not only allow to monitor and debug but provide the wide range of information which is not normally available to view. You can view complete insights for the requests coming into your application, exceptions, database queries, queued jobs, emails, log entries, notification, cache and lots more. Also, we can get which pages are working right and which database queries were run when a request was made. Use following composer command to install the Laravel Telescope in your application. You need to execute the following artisan command. These commands are necessary to complete the Laravel Telescope setup. // Create a necessary database table, migration files are created after executing the above mention artisan command. If you want to install Telescopes to assist your local development only. Then you need to use the following command, in this command we use additional “–dev” flag for the development environment. After completing the installation, you just need to visit “/telescope” on your project. As you see, the left sidebar shows all of telescope features such as Requests, Commands, Schedule, Jobs, Exceptions, Logs, Dumps, Queries, Models, Events, Mail, Notifications, Gates, Cache and Redis. We will discuss all the features in our future article with depth details, which helps you to debug your Laravel Application.